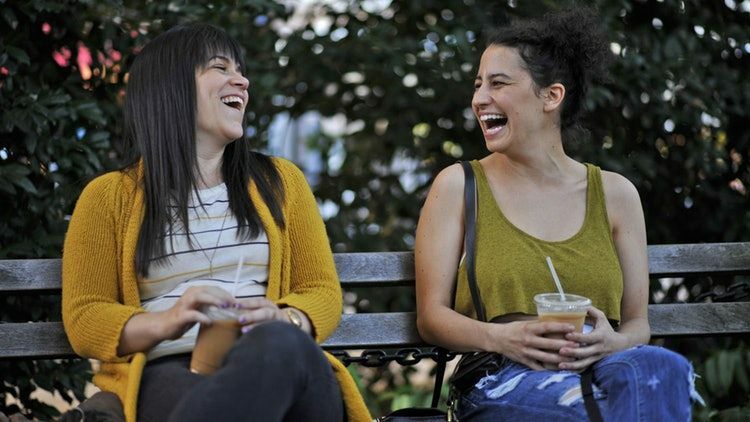 The final episode of Abbi Jacobson and Ilana Glazer’s Broad City aired recently. The finale was a long, understated goodbye. A fancy toilet on the side of the road threatened a classic goofball adventure, but this soon gave way to a heavier narrative. 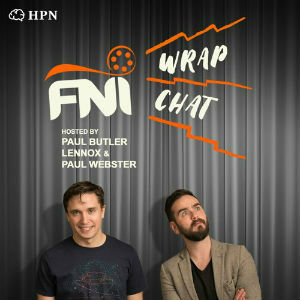 In truth, the show has been tangled up in its farewell for some time now. Its fifth and final season openly acknowledges the impending end, but Jacobson and Glazer have been confronting the fact for some time now. Broad City was at its best when the two leads were together on screen, their relationship being the spark that ignited its creation and defined its narrative. While Ilana’s cartoonish demeanour accentuated the slapstick elements and added to our cultural vocabulary – Yas kween! Wanna fook? – Abbi was always the audience surrogate. Jacobson’s neurotic performance grounded the oft-cartoonish world of Broad City in some kind of reality, ultimately charting the course for its conclusion. Though comedic, Broad City has often been cited as a vivid representation of the millennial experience – in New York at least. Perhaps nothing defines this experience quite so much as its tendency toward never-ending adolescence. Beyond the show’s celebration of friendship and intimacy between the leads, Broad City, in the end, confronts this phenomenon. As it wound on, the tone of the show shifted. From the web series through the earlier seasons, the comic, wack-a-doodle adventures were the core. In its final season, however, and even as far back as an episode like ‘Burning Bridges’ from season three, a melancholic undercurrent appeared. Indeed, it dictates Broad City’s conclusion. The episodic, self-contained adventures must give way against the backdrop of looming adulthood. Abbi, our everywoman, turns 30 and shows us that this can’t last forever. Instead the women must confront adulthood and the sacrifices it entails. Namely, the sacrifice of their relationship – in its current state at least. Late season episode ‘Shenanigans’ is the clearest signal that the goofball escapades can’t last forever and, in turn, Abbi and Ilana’s relationship can’t last either. This is a revelation tinged with tragedy for both our heroines. Were Abbi and Ilana in a physical relationship, their staying together wouldn’t be questioned at all. Rather, it would be seen as the natural progression of things. As they remain platonic – in spite of Ilana’s frequent efforts – a line must be drawn. Given Broad City’s representation of both queer and non-monogamous relationships over the years, it’s not a stretch to see this as something of a societal critique. If you’re given to believe in soulmates, then Abbi and Ilana are clearly the very definition. Even when they’re apart, they’re together, as highlighted in the opening of season three. In this scene, we see a split-screen montage of their respective bathrooms. Both appear on either side of the divide, together and separately. In the moments when they aren’t together, they’re doing the same things as one another. At the end of this montage, both check the time and quickly leave, presumably to meet one another. This level of intimacy is rare. Yet convention dictates their eventual separation as inevitable, necessary for true growth. Abbi, the elder of the two, acknowledges this first and she must help Ilana to come to terms with the separation. In an admittedly mixed final season, the last few episodes focus on this redefinition of their relationship, allowing the show to finish strong. In its final seasons Broad City may not have been as laugh-out-loud funny as it once was, but it remained incisive. The tone of the show shifts for the viewer as the tone of life shifts for Abbi and Ilana. By the end, despite the emotional turmoil, we are certain that their relationship will survive the change. The final episode merely cements the intimacy one last time, beginning with cartoon Abbi and Ilana waving goodbye as they skip off into the sunset hand in hand. Broad City was a rare beast, managing to hold intimacy at the forefront of its narrative, while eschewing sentimentality for the most part. From the moment Abbi and Ilana begin their goodbyes on the Brooklyn Bridge, to the point where they hang up the phone at the end, emotional vulnerability guides the episode. This rush of sentimentality never feels gushy though, and when Abbi tells Ilana, “I don’t even feel like I was alive before I met you”, you believe her. It would be easy for this line to play as mawkish and jarring, but Broad City just spent five seasons showing it to be true. These two women built a cartoonish world which allowed them to grow together. Now they’ve outgrown it and reluctantly accepted the inevitable, so it’s time to step outside the symbiotic existence. Their singular bond cannot be outgrown, however, and the closing scenes are dedicated to highlighting the enduring, universal beauty of such comfortable codependency.